The University of Texas at Arlington Research Institute (UTARI) hosted approximately 500 middle and high school students as well as community members during the National Robotics Week showcase on April 6. Participants were able to meet Baxter, a robot that takes selfies, and other robots while enjoying hands-on learning activities in UTARI's labs. 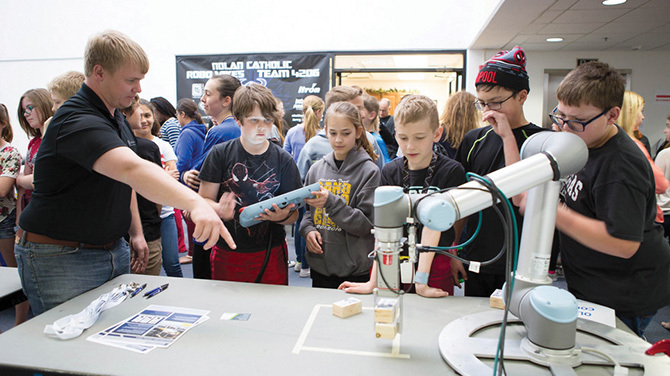 "It's a fantastic STEM opportunity to get students interested in technology," says Mike McNair, who heads UTARI's Automation and Intelligent Systems Division.